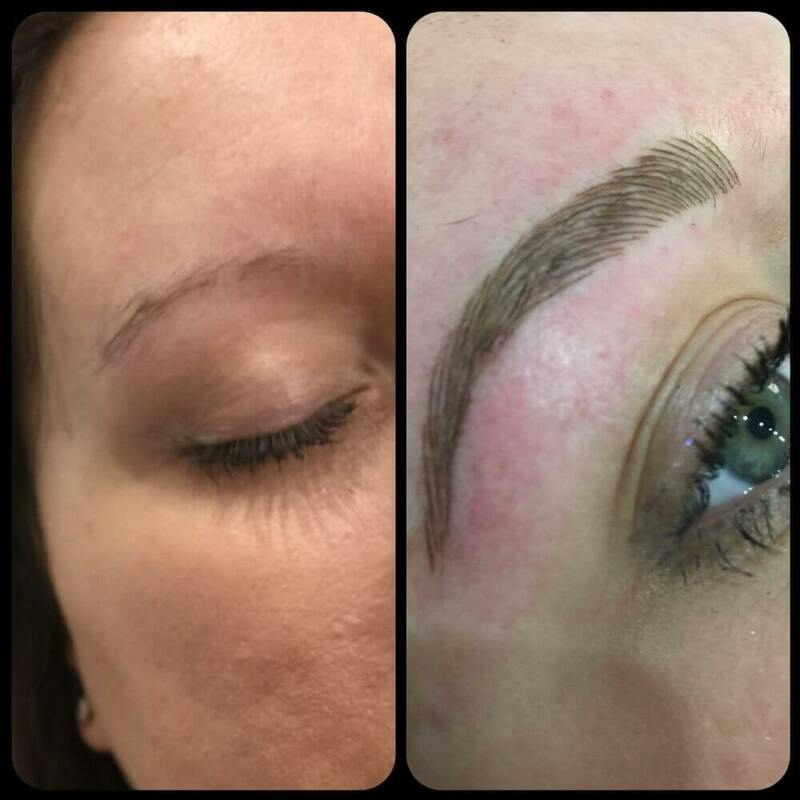 Eyebrow Tattooing & Permanent Eyebrow Makeup Milton Keynes, Bedford & Northampton. 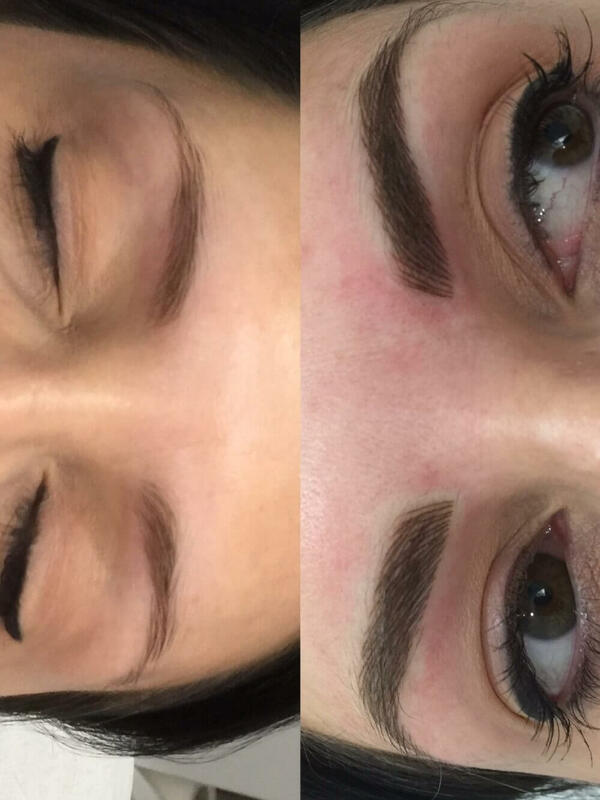 I first came across Permanent makeup back in 2012 and decided that I would like to offer this treatment to women to give them back their eyebrows! After a lot of research, I went to do my initial training with Dermace. I quickly realised that to really become competent and provide good eyebrows, I needed to continue my education, so since Dermace, I have gone on to train with many well-respected artists in this field, including Finishing Touches, Naomi Waite, Claire Hobson, Susie Bavister, Katerina Zapletalova, Mary Ritcherson, Teryn Darling and the list goes on – I feel regular training is so important to keep my skills up to date. So, what is my style? To me, good brows are not the ones that walk through the door 5 minutes before you do! – They are the natural looking brows that enhance your face - the ones where people say “you are looking good, have you had something done? Have you been on holiday? – It can be your secret (although I am always happy for a review). If you are looking for natural looking eyebrow tattoo's, then I would be happy to be your artist. Over the years, I have been asked many questions, so I have put together a list of the most popular ones, which hopefully will help you make a more informed decision about Permanent Makeup. I offer consultation for you to come along and meet me, see my premises and for us to discuss how you would like me to help. This is normally a 30 minute appointment, and I will explain the whole procedure to you – there is no pressure to decide there and then to book (although most do), but should you decide to, I take a £50 non refundable booking fee to secure the date (this fee is included in the overall price). At your first appointment, I ask that you allow 2.30 hours (although I am normally finished in 2 hours). I have a private salon in a residential area, and I only see one client at a time, so the focus is really on you and your treatment. In the consultation, we would have already discussed what you are aiming to achieve, so I already have a good idea of what you are looking for. I take my time in the designing and tattooing of your eyebrows, using different tools to help me achieve this. I talk you through each step of the way, so you know what is happening. The drawing is , and I take my time in getting it just right, so you can be assured once it is tattooed on and I set you up to look in the mirror, there are no nasty surprises! How do I know who to choose to do my treatment? As I said earlier; this can be a bit of a minefield if you have not had a personal recommendation – I would say, start with an idea of what you are trying to achieve. Do you want them to look very made up or are you looking for something more natural? Then do your research, look at photos (lots) on both the website of the artist and their social media, look at the reviews and then look at the price last. Do not be tempted into saving money when it comes to permanent eyebrows – normally, if they are cheap, it is because the artist is new. Don't get me wrong, we all have to start somewhere, so models are invaluable, but if you are not looking to be a model, then you are paying for the artist's experience, and this doesn't often come cheap. Many permanent makeup artists invest an awful lot of money into their training and equipment and using the best products available, so their experience is what they are going to use to give you the best brows. An the experienced artist takes the hygiene of this treatment and their salon very seriously – we are after all breaking the surface of the skin (which is your body's protective layer), so this is crucial. 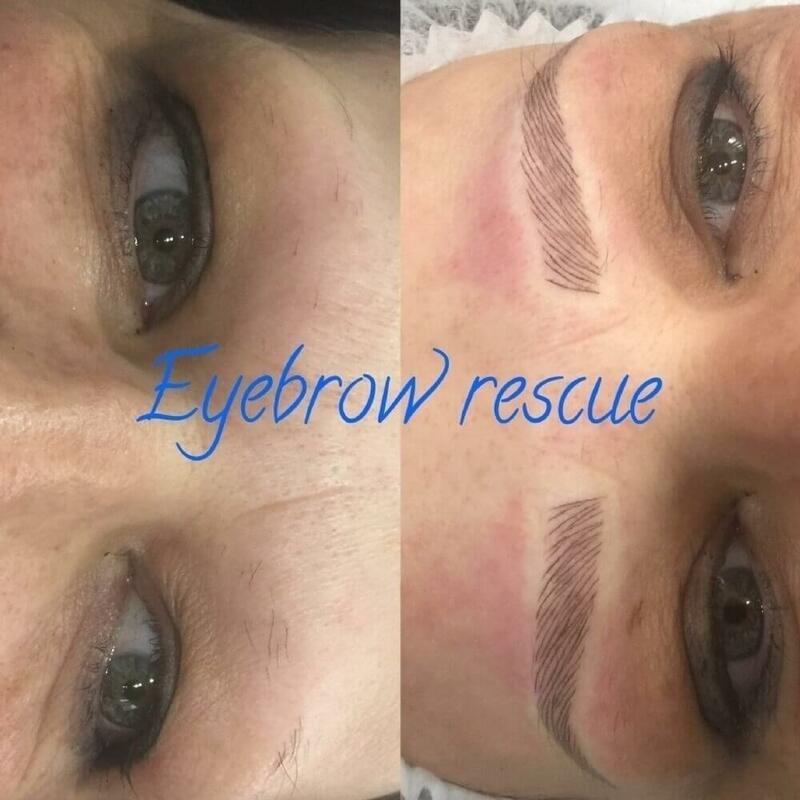 We are trained into how to handle the correct disposal of equipment/needles and wear protective clothing, and I only use single-use needles – I have never had a client get an infection in their brows since I started my business. This is a fairly painless process, but it does depend on your pain threshold – I will apply a numbing cream to make this as pain free as possible. I work with as much of your real eyebrow as I can, which means I am enhancing what you have naturally, but just tweaking to give the perfect brow for you, and if you haven't got any brow hair, then I can still work to give you realistic eyebrows, whereby people wouldn't know they were not real. I will not shave off your eyebrows, in fact, hair (even a little bit), give more realism to the tattoo. What is the difference between microblading and micro pigmentation? Microblading is actually an old Chinese method of implanting pigment into the skin using a hand tool that looks like a blade, (but in fact is a row of tiny needles), and pigment is (for want of a better word) “carved” & implanted into the skin using the hand tool, as technology improved, the digital machine was born. The digital machine uses single-use needles, and the machine can control the speed and depth. This method tends to last longer than microblading and can be boosted more times than microblading can. Interestingly I have noticed that many people use the word “microbladed” as a generic term for tattooed brows and not because they know the difference between the two terms. How often do I need to get them done? Micropigmentation (using a digital machine) tend to last on average between 12 and 18 months. Now that is not to say that after that time, they will be completely gone, as the pigment can last in the skin for quite some years, which is why it's called permanent makeup, but normally, they will fade during the first 12-18 months, so you can have a “boost” session. It is unusual to need to boost them before 12 months. What is a boost session? Over time, your brows will start to fade, and you will lose the definition that you had in the beginning – on average (depending on the person, skin type, sun exposure etc.) it will be around 12-18 months, but sometimes ladies can go longer than that as well. A boost session is just the one appointment where I will go over the brows to refresh the colour and replace any lost/faded areas – they will then be good to go for the next 12-18 months. How will I know if they will suit me? I have been drawing eyebrows, (which I do nearly every day), since 2012 so I have a good eye for what will suit you, the position on your face and how thick/thin they should be. I also spend time in the designing and drawing, so you can be confident that they will look like when I have finished. How long will they take to heal? Healing takes around 4-6 weeks (depending on the age of the client) to be fully healed, but to you, they will look like they heal in around two weeks. Everyone heals differently, but on average, they will look amazing for the first 3 or 4 days, then the healing process starts, which shows in flaking of the skin, they can look patchy, or even like they have disappeared (they haven't). This process can take approx 7 days until the flaking stops, and after two weeks, you can go back to the gym and get them wet etc – there may be small changes to the colour (getting darker) up to 4 weeks. How can I book for a consultation? I have made it as easy as possible for you to book your appointment and can offer an online booking system – have a look, see what is available and then choose the time and day that suits you. I charge £10 for the consultation and if you decide to go ahead with the treatment, this will be deducted from the cost of the brows. For more information or a free no obligation price quote for our professional permanent makeup & eyebrow tattooing treatments in Milton Keynes or the surrounding areas we cover please contact us.